Many San Franciscans worry about the cost of wisdom teeth removal in San Francisco, but the cost of NOT removing them when they are causing problems can be far greater, both in terms of your health as well as your pocket. Sadly, however, despite the fact that we are by this time supposedly “wiser” than we were in childhood, the wisdom often does not extend to getting them removed at the first sign of them causing trouble – which they do in the case of most people. In a few people wisdom teeth grow through naturally and if they have sufficient room will grow straight without causing problems. However, in the majority of people the wisdom teeth do not have sufficient room to grow and they can therefore grow at an odd angle, can push other teeth out of alignment, cause infections, and even damage to the jaw bone. Unfortunately, many people fail to take this “cost” into account when looking at the cost of wisdom teeth removal, and simply look at the amount of dollars concerned before deciding to “leave it for a bit”. The fact is that if you leave them in, those wisdom teeth are going to continue to grow whether you like it or not, until the point comes where you realize that you have no option. Meanwhile, they have been causing pain and possible damage to your mouth and your general health when this could have been avoided by using a little “wisdom” in the first place! As for the cost of wisdom teeth removal, because many people have put it off until the last minute they have also not made any provision for, or thought about, covering the cost – which has to be met somehow. 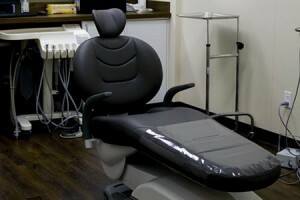 This is where Oral Surgery San Francisco can help. Our expert oral surgeon, Dr Alex Rabinovich, accepts insurance payments from many of the leading health insurers used by Bay Area employers, which is not the case with some other surgeons or general dentists. Even if your insurer is not one that he accepts, he does accept all major credit cards, and he has, in addition, a wide range of financial plans available and there is bound to be one that suits your circumstances. So if your wisdom teeth are causing problems use a little wisdom and make an appointment to see Dr Rabinovich. He offers a totally free consult to all patients and you can make an appointment by clicking on the Contact Us link at the top of the page or calling the office on (415) 817-9991.